A triangular highlighter on a standard express production. The perfect addition to any pencil case or stationary set that can be produced and delivered fast! 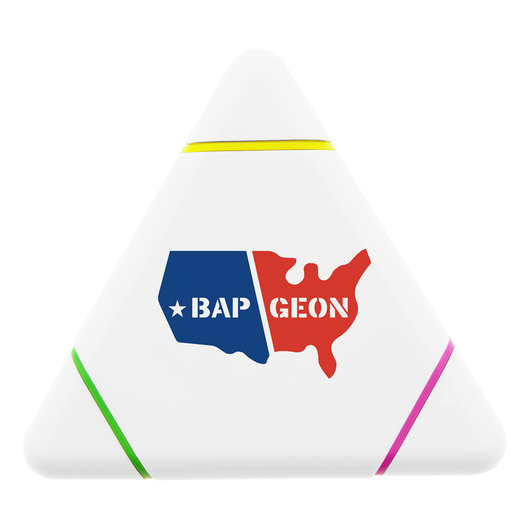 These highlighters are shaped like a triangle and feature yellow, pink and green ink. These are a must have item to make study and highlighting a breeze.